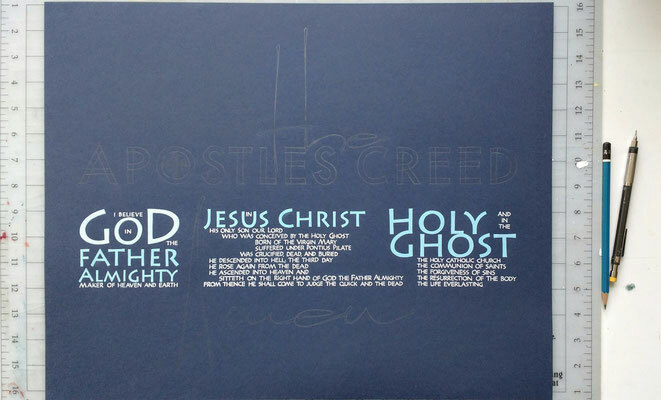 Several years ago I lettered the Nicene Creed for the church I was attending. 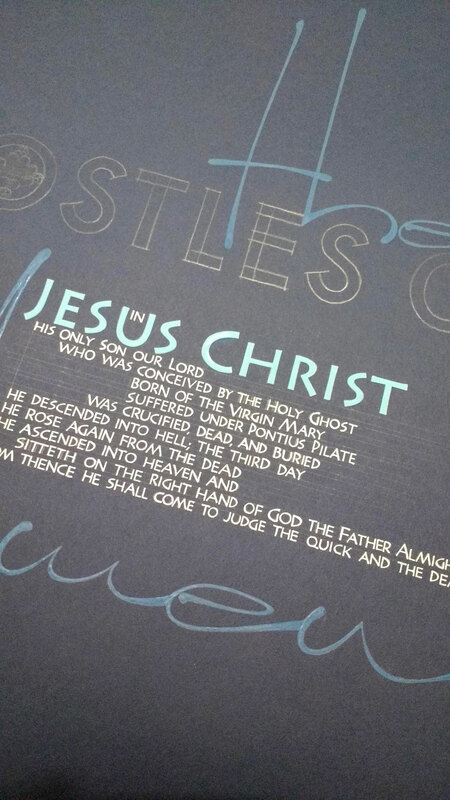 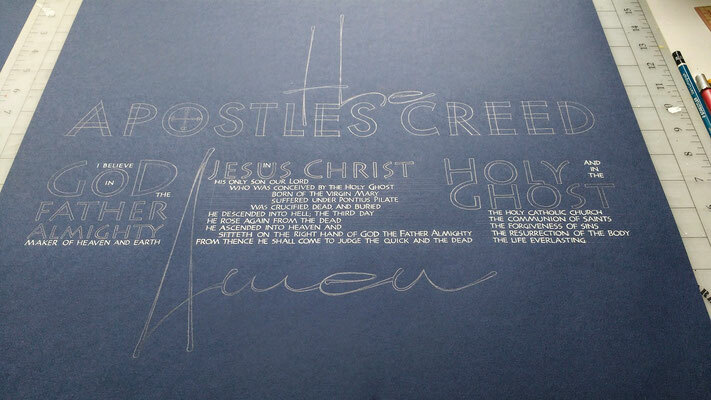 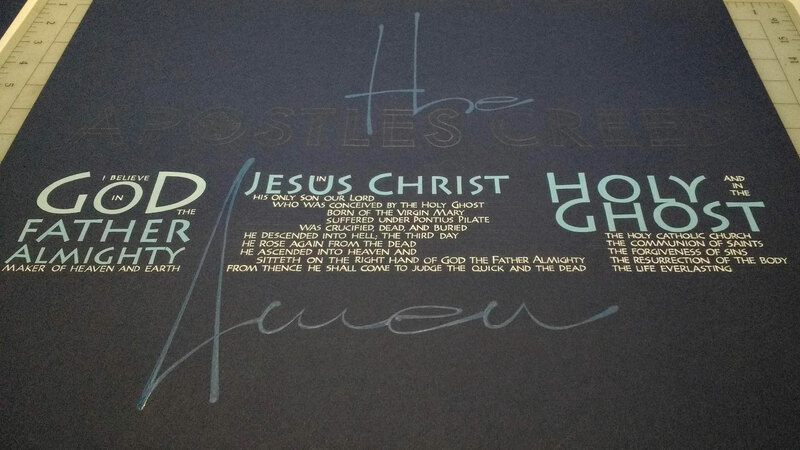 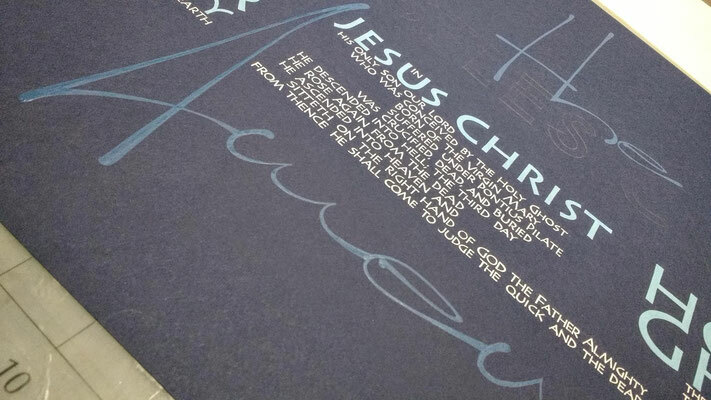 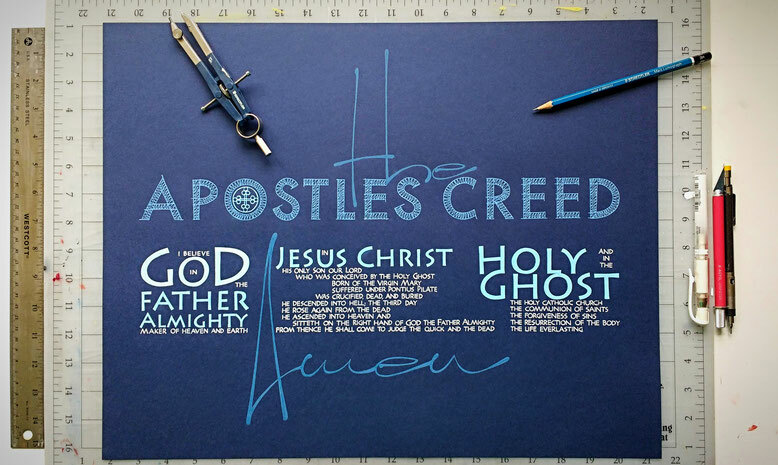 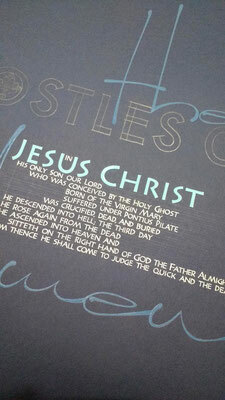 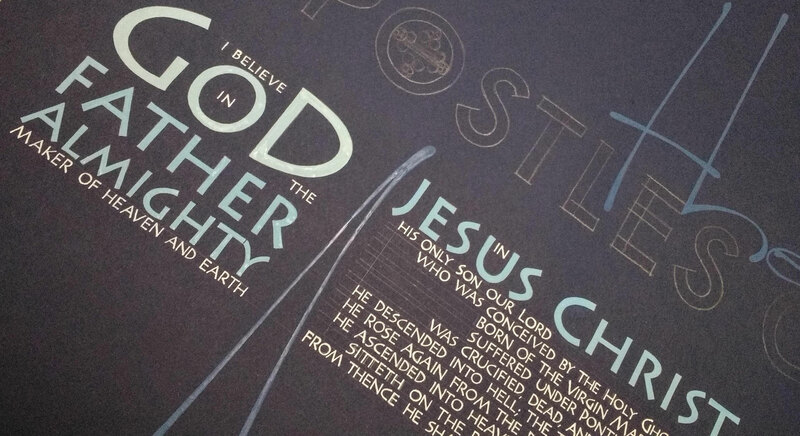 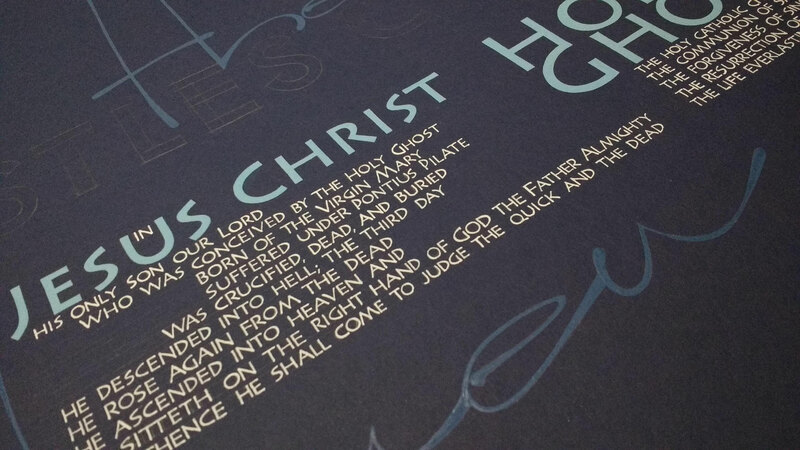 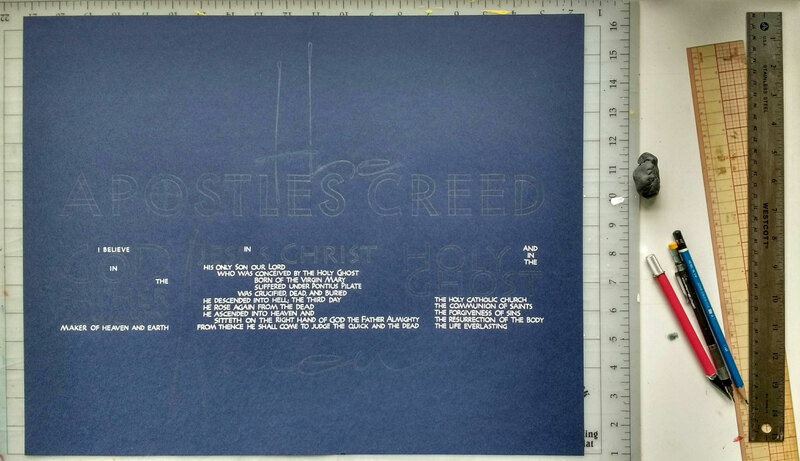 It really struck a chord with a number of the members (and, later, other friends), so I made prints and had in the back of my mind the plan to letter the Apostles' Creed someday. This week I finally did! 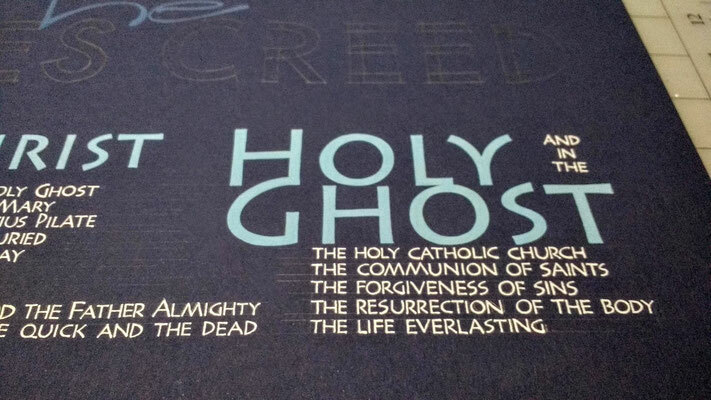 I spent a lot of time laying the project out in Photoshop ahead of time, just to make sure everything would fit in the same 15x19 inch parameters as the original creed piece, but the work you see was all done by hand with brush or nib in gouache and watercolor. Hoping for similar interest in this piece as in the last, this morning I took it to a local printer for scanning and printing with archival inks on acid free paper. 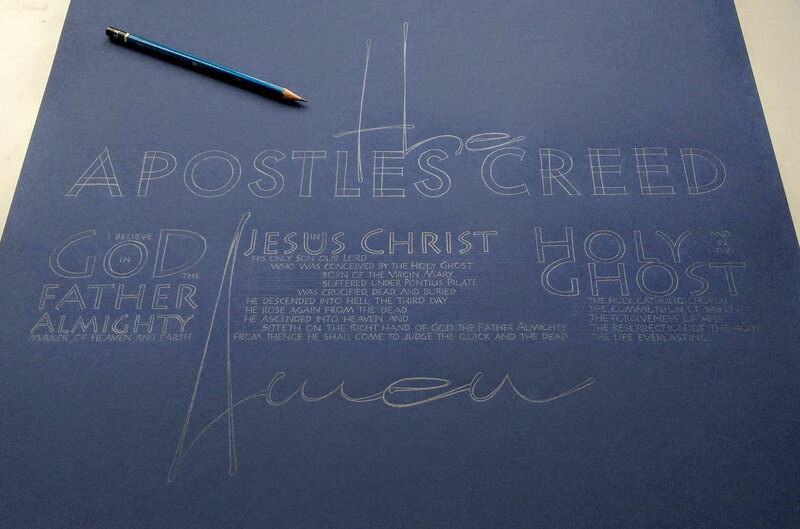 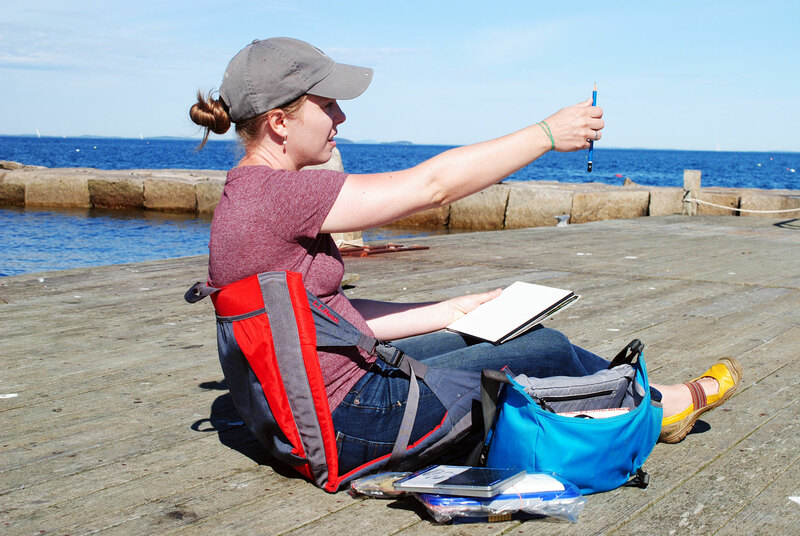 Below is a step-by-step photo journey through my process. 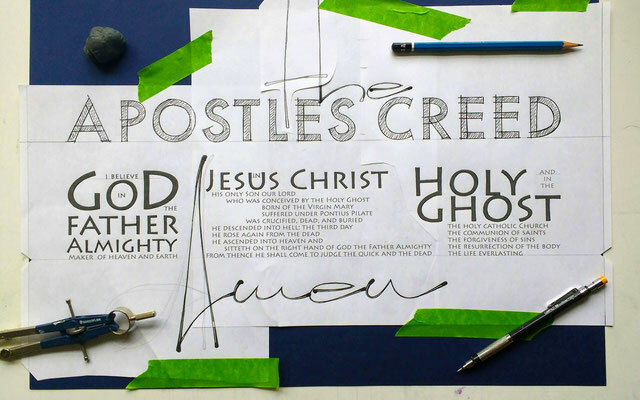 I like the modern flare of the lettering, which strikes me as an interesting contrast to the ancient message and as an artistic hinting at the timelessness of truth!